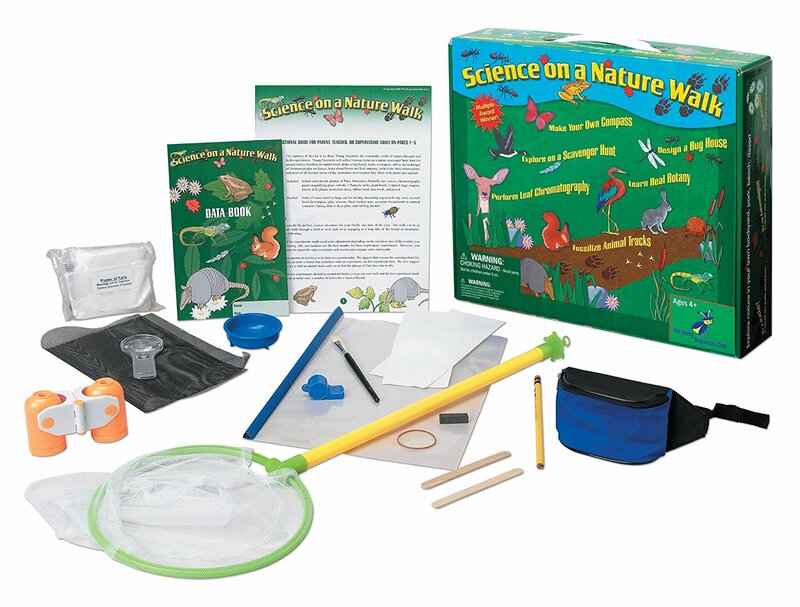 Nature kits for kids can transform a nice nature walk into a a fascinating scientific expedition. If you are planning a walk in the forest or in the mountain with your child in the near future, then we recommend that you get a kids nature kit! Nature kits teach about plants, leaves, insects and other stuff found in nature. They also teach children how to conduct scientific experiments, how to be curious about the world surrounding them and they get them interested in science and learning. Children study nature and become interested in science. Set includes binoculars, a magnifying glass, a net and more. This nature kit won many awards. The Young Scientist Club has two kids' nature kits that we really recommend. The first one is called Science on a Nature Walk (ages 4-12). This kit has won many awards and was designed by a group of Harvard scientists with the purpose of helping children learn and becoming interested in science. Children conduct experiments such as fossilizing animal tracks, making a compass, performing leaf chromatography, etc. Maybe this can lead them to becoming interested in fossilized dinosaur tracks or in Earth's magnetic field which is what makes all compasses work. This set includes binoculars, a magnifying glass, a net, a paper used to conduct chromatography, a book to used to collect data (just like scientists do), and many more items. The only downside is that the items provided are not the best quality (do not expect binoculars used by professionals) but considering the price and the fact that it is designed for children, we view it as only a small downside. They gain an interest in botany and science. 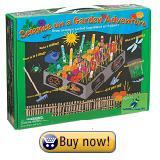 The other kit that we recommend is Science on a Garden Adventure (for ages 4-12). This kit can actually be used indoors so you don't necessarily need to go out on a nature walk. Children conduct experiments with plants and learn about them. They analyze the soil, use seeds and grow plants. They also learn about underground habitats (where insects live). The kit contains a book with instructions that are easy for children to understand. There is also another book used to collect data about plants. This is another kit that can definitely get kids interested in botany and science! Have your say about what you just read and write your own review ! Leave a comment in the box below.